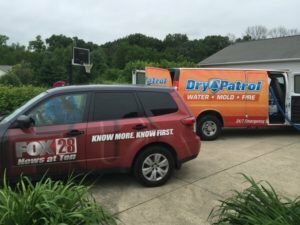 When something goes wrong at your home or business, Dry Patrol comes in and makes it right. You can count on us to clean up the mess, keep you safe, and restore life back to normal as fast as possible. 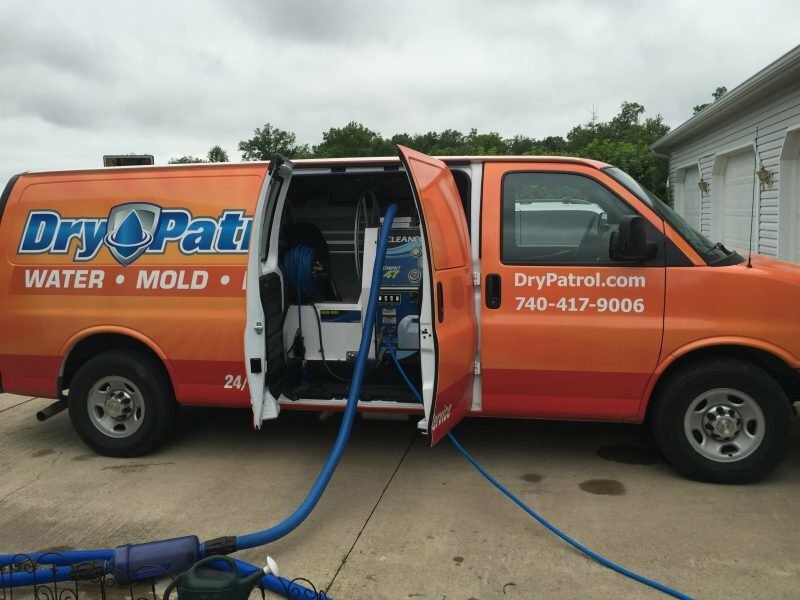 Our water damage Columbus OH specialists are there when you need the job done fast — and done right — so make Dry Patrol your first call. When you have water in your home, you want it gone — now! Water creates problems very quickly and must be addressed immediately to stop further damage and expenses. But quick response isn’t enough. It’s equally important to make sure your water removal and cleanup process includes thorough drying to prevent other problems. We provide water damage restoration services in Columbus OH and the surrounding areas. We work very hard to exceed customer expectations by delivering compassion, professionalism and trust with every opportunity by enabling customers to have prompt, professional assistance when they need it most. We will always maintain a clean, professional and uniform appearance at all times. We will always be properly prepared for each and every job. We will always communicate expectations and the process. We will always keep projects positive and work toward positive outcomes. We will always take responsibility for our projects. We will always continually educate ourselves. DryPatrol Columbus is a Certified NADCA Firm. Many water damage cleanup companies miss critical elements of effective drying. Buildings are like sponges, so just because there isn’t any visible water doesn’t mean the building is dry. 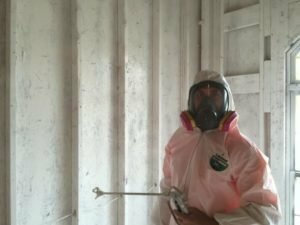 Also, attic and basement water damage can be particularly tricky to handle because of hidden moisture and conditions that are ripe for speedy growth of fungi and bacteria, and any sewage damage that might be associated with the flooding can contain dangerous microbes that pose a serious danger to your health. So it’s important to use a water damage company who are expert at delivering all aspects of water damage restoration. When Dry Patrol arrives at your home or commercial business, we’re officially on alert for all flooding damage issues, whether they’re caused by broken, leaky or frozen pipes, sink or toilet overflows, or malfunctions of washing machines, refrigerators , water heaters or dishwashers. Our flood damage technicians look beyond the surface level and measure moisture at the stud, insulation, and sill plate level. Then, we create a moisture map of the affected area and monitor moisture content, temperatures, and relative humidity levels on a daily basis. This thoroughness and commitment to drying your home is one of the unique advantages of working with Dry Patrol. 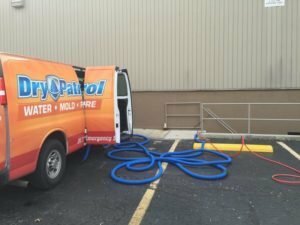 Finally, Dry Patrol also has the equipment and expertise to take care of all sewage cleanup and removal safely and quickly. Today’s ever-changing climate conditions are causing more frequent flooding and weather-related Columbus water damage. Flood damage cleanup is more complex than normal water restoration because all floodwater — no matter the color — is considered toxic “black water” and must be treated as sewage removal. Every job is supervised by an IIRC-certified Project Manager or Lead Technician. These Columbus Water Cleanup Technicians and Applied Structural Drying experts work quickly to determine the extent of contamination, contain all affected materials, and properly “Bio-Wash” your Columbus home and belongings using environmentally friendly disinfectants. Then, the team ensures your home is 100% sewage-free and safe by applying Benefect, an all-natural botanical antimicrobial formula that cleans and kills germs without endangering your health. Dry Patrol Columbus can be on-site within as little as 60 minutes. 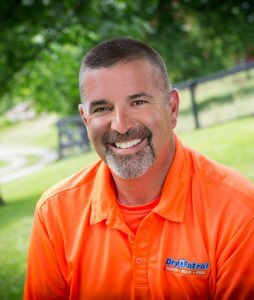 As soon as we receive your call, our team responds quickly with the expertise and state-of-the-art equipment needed to take care of your water damage restoration and avoid additional loss. We will be there to take action to save your residential or commercial property from additional damage. 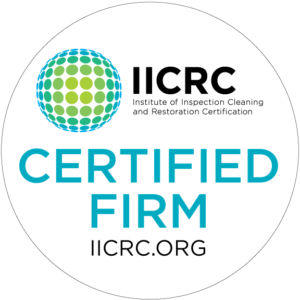 We exclusively employ comforting technicians who have their Institute of Inspection Cleaning and Restoration Certification (IICRC) so you can feel confident that you’re in good hands. We understand that a devastating Columbus water damage or flood restoration event at your business or home can be hard to deal with. Water damage emergencies happen every day, the question is, Do you have someone to call? When you discover a problem, contact Dry Patrol for immediate help with water damage restoration services. We provide water damage services to the entire Columbus area. Click here to see some of the cities we service. 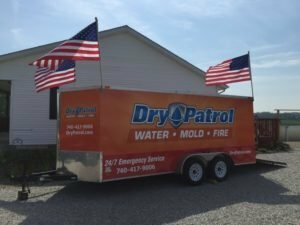 Dry Patrol Water Damage Experts is located at 99 East Central Ave, Suite B, Delaware, OH 43015. We can be contacted 24/7 at 740-417-9006. Dry patrol provides water damage services to Columbus OH including 43002, 43004, 43016, 43017, 43026, 43035, 43054, 43065, 43081, 43082, 43085, 43119, 43123, 43137, 43147, 43201, 43202, 43203, 43204, 43205, 43206, 43207, 43210, 43211, 43212, 43213, 43214, 43215, 43217, 43219, 43220, 43221, 43222, 43223, 43224, 43227, 43228, 43229, 43230, 43231, 43235, 43240. Some points of interest we provide services near include the Columbus Museum of Art and Ohio State University. We're available Day or Night. Call now and let us help you!